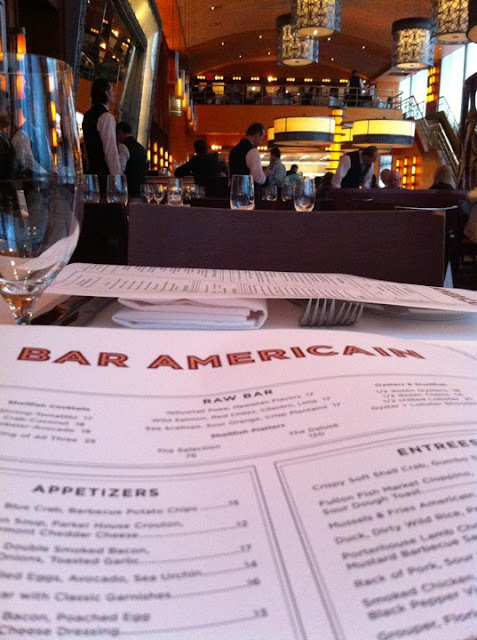 I had the good fortune to have dinner at Bobby Flay's Bar Americain in New York City when I attended BEA (Book Expo America) last year. It was a perfectly wonderful meal. 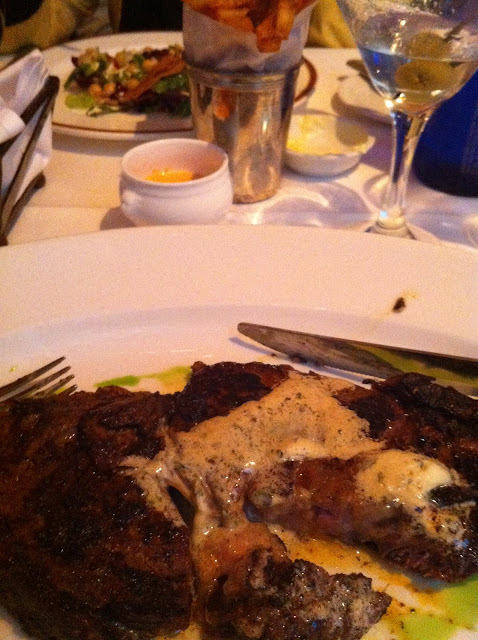 My old friend SueE and I broke tradition and eschewed Ruth's Chris which has always been our staple when we get together. I am happy we did. 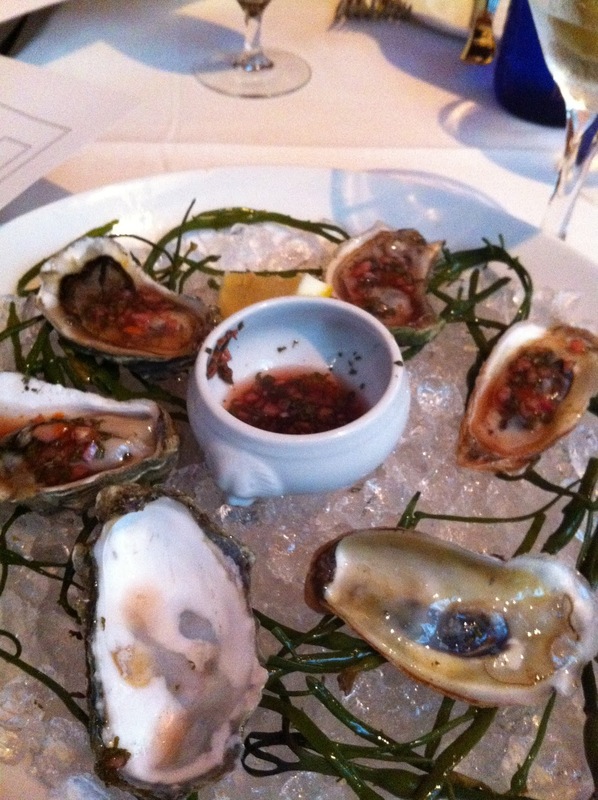 Sue was a bit late and I opted for a martini and some oysters on the half shell with a chipolte mignonette. It was so good, had she been any later I might have had another half dozen. I had the blackened ribeye and duck fries as an entree, but I think I could easily have had a few appetizers and another martini and called it an evening. Dessert? No thanks... any oysters left?